Broken With You, the Burtonwood Records debut from singer/songwriter Nathan Sheridan has been released. Featuring 11 songs written or co-written by Sheridan, the collection draws from the young artist’s powerful life story of overcoming profound adversity and loss. Read More Broken With You, the Burtonwood Records debut from singer/songwriter Nathan Sheridan has been released. Featuring 11 songs written or co-written by Sheridan, the collection draws from the young artist’s powerful life story of overcoming profound adversity and loss. Singer/songwriter Nathan Sheridan was born in Pensacola, Florida, to parents dealing with addiction. Raised by his grandparents in Pearl River, Louisiana, during his childhood Sheridan tragically lost his older sister to brain cancer. He made a commitment to Christ when he was 14, and upon high school graduation enlisted in the National Guard where he served six years. While deployed in Kuwait, Sheridan led worship for fellow soldiers, providing a foundation that impacts his ministry today. Sheridan and his wife, Harley, live near Nashville. Nathan has this voice that seems so much older than his age. It's a voice with maturity and passion but also has a soulful side to it. From reading about him, this lad has been through so much and seen so much and this at times comes out in his music. But saying all of that, his music is funky with a sway, and catchy - this is the general vibe from the songs. Tracks like 'Don’t Get It' and 'Loves Like That' are big pop friendly songs. Yet this isn’t just a lovely clean pop album, well not all of it. The stories and vocals of Nathan are more than that. There are some really strong and tender moments, like during 'I’m Amazed' and 'Alone In The Garden'. This is such a mature and heartfelt album with so much going on under each song, well worth checking out. 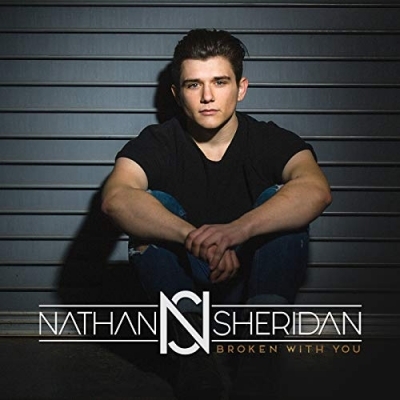 Our Album of the week is the #LTTMAwards 2018 Number 1 Album - Nathan Sheridan and 'Broken With You'. Have a Listen and tell us your favourite tracks!